“After the Sassanid Ardashir I (220–240 AD) took Merv, the study of numismatics picks up the thread: a long unbroken direct Sassanian rule of almost four centuries is documented from the unbroken series of coins originally minted at Merv. During this period Merv was home to practitioners of various religions beside the official Sassanid Zoroastrianism, including Buddhists, Manichaeans, and Christians of the Church of the East. 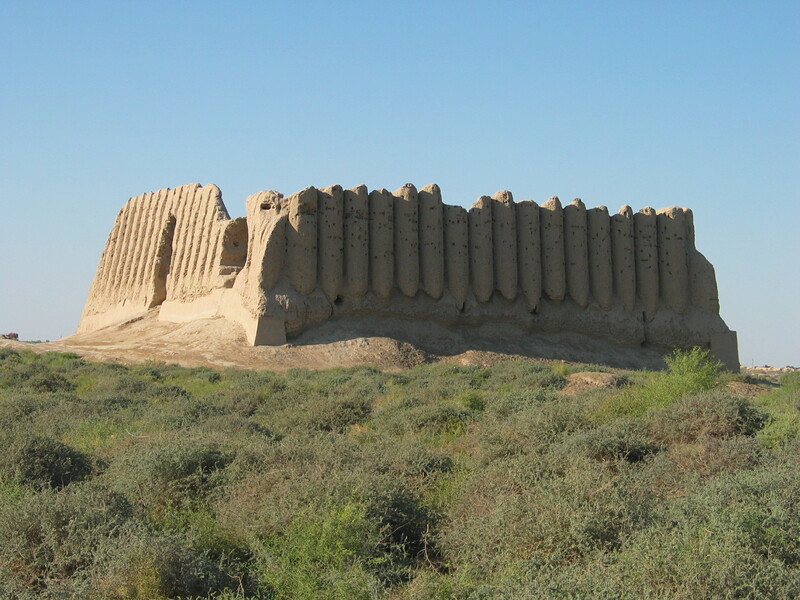 Merv reached renewed importance in February 748 when the Iranian general Abu Muslim (d. 755) declared a new Abbasid dynasty at Merv, expanding and re-founding the city, and, in the name of the Abbasid line, used the city as a base of rebellion against the Umayyad caliphate. After the Abbasids were established in Baghdad Abu Muslim continued to rule Merv as a semi-independent prince until his eventual assassination. Indeed, Merv was the center of Abbasid partisanship for the duration of the Abbasid revolution, and later on became a consistent source of political support for the Abbasid rulers in Baghdad, and the governorship of Khurasan at Merv was considered one of the most important political figures of the Caliphate. The influential Barmakid family was based in Merv and played an important part in transferring Greek knowledge (established in Merv since the days of the Seleucids and Greco-Bactrians) into the Arab world. This entry was posted in cosmopolitanism, Islam. Bookmark the permalink.